Mindset Shift Part 2: Time, health, personal development! 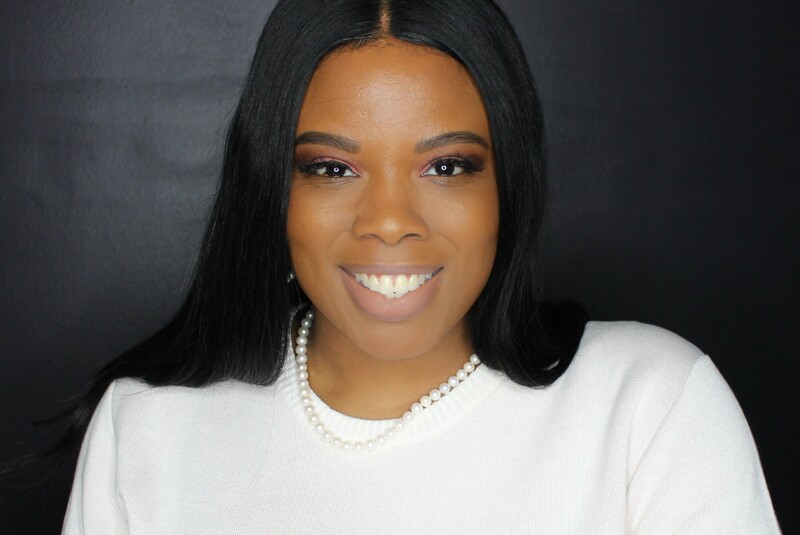 Toya Williams is a guest writer on the blog, she shares her time management, health, and personal developments Mindset Shifts for the year. “Mindset Shift!” What an awesome way to get in gear and start the New Year. In years past I would make New Year’s resolutions and within the first three weeks the motivation and vigor had dissipated. This year I decided that I would not make a New Year’s resolution, but shift my focus and continue the work of personal development as well as spiritual development. I have come to realize that in order for there to be effective change, there must be a transformation in my thought life. Everything in life pretty much begins with a thought first, whether good or bad. In shifting my focus I’ve discovered that time management is key. There is no way to be everything to everybody, all at once. Being a wife and a mom is quite demanding, not to mention other obligations that warrant my time and attention. I am convinced that women are superheroes! (Ladies…clap for yourselves, you deserve a moment of praise!) No matter the demand we seem to continue to give and give and give, but it is impossible to pour from an empty cup. So, it is imperative to carve out time to recharge. Whether it be setting aside time to read, meditate, pray, take a walk or whatever gives a sense of grounding. Recharging helps me to determine how to allocate my time. Sometimes things may overlap but I am not frazzled when I have taken the time to focus on what is important and how best to give what is needed at that moment. September 8, 2016, marked a monumental shift in my mindset in regards to my health. I made the hard but necessary decision to stop complaining and do something about my weight. Not for anyone else, but for myself. I did not just focus on losing weight, but I also began to focus on diet as well which proves to be critical in a healthy lifestyle change. You can exercise as much as you like, but if you do not take into account what you’re eating, it will be hard to achieve your desired results. There is no quick fix, you have to put in the work to get where you want to be. Since my start date, I have lost 20 pounds! I have a few more to go and I plan to continue to put in the hard work necessary to maintain a healthy lifestyle that is not only beneficial to me but also to my family. Personal development has caused me to take a good look at where I am and what I’m good at and figure out how best I can be available and serve with the gifts and talents God has given me. I am truly working on this area of my life. There is somebody out there that needs what I have to offer in the capacity that I am able and willing to give. I’m determined to be all that God has called me to be. In my spiritual development, I’ve realized that prayer and studying the word of God is vital to this Christian walk. I had gotten off track and was not as diligent in reading like I needed to. I have since changed and there is not a day that goes by that I don’t spend time with God in some form (reading the bible, Christian book, music, praying or listening to a message). Through this, I have noticed a change and I am so appreciative. Yes, recharging is SO important to me. If I don’t recharge, I find I’m much crankier. Congrats on losing 20 lbs! I concur and thank you!! All about a mindset shift! Thats my goal for 2017 too! Great article! Motivating! Congratulations on taking action! I, for one, can relate. I feel like I’ve been trying to lose weight my whole life. I’m currently doing Weight Watchers. Are you doing a program or flying solo? Thank you! And congratulations to you as well on taking charge and making a change in your health. I am pretty much flying solo. I watch what I eat and exercise minimum 3 times a week. I wish all the best to you in your journey to good health. It’s good to hear you’re taking time for your health. Exercising and eating right is so important to our mental, emotional and physical well-being. Self care is so important. The last year or so I realized just how important it is for me to put myself first and take time for me. I have learned to pay attention to the signs and when I need to I unplug, relax and recharge. Yes. I need to work on this. I need to recharge . Thank you for the reminder. You’re welcome. It is important. Congratulations on working towards what you want! I’m glad you see that this feat is for you and no one else. I am struggling with weight and I really find it is caused by my stress. Thank you. As we all know, stress, especially long term stress is not healthy. Identify what is the cause and manage it better so that you can begin to alleviate the stress and get a handle on your weight struggle. You can do it! I believe in you!! Great post very inspiring!!! Congratulations on taking action! It’s great to take time for YOU! Recharging is a wonderful act of self-care. I really enjoyed your post! Omg I love this post! Transformation is much needed to have success in life. Personal development is so important. Glad to see you taking steps to make positive changes in your life. I’m doing the same and it’s such a great feeling! I love the book of Romans. As a single mother recharging it’s really important. Physically and mentally.